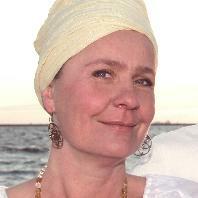 It is my honour and blessing to serve as a Kundalini Yoga Teacher and Associate Trainer in The Netherlands. 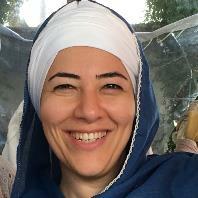 I teach my weekly Kundalini yoga classes and pregnancy yoga classes in Leiden (www.degeboortereis.nl) I serve in the teacher training of lead trainer Gurumarka Khalsa and in the training of lead trainers Hari Krishan Singh and Bachitar Kaur. I am married and we are blessed with two children, a boy and a girl. In daily life I am a business owner (I co-own a family café with a KIDS conceptstore and yoga studio), a teacher and a birth and postpartum doula. I serve as a local volunteer for the Postnatal Support Network and also teach trainings for this important network for new mothers (www.postnatalsupportnetwork.com). Sat nam Op 18 jarige leeftijd kwam ik in aanraking met Kundalini yoga. 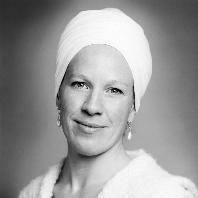 Sindsdien verdiep ik mezelf in de onuitputtelijke rijkdom van de teachings van Yogi Bhajan. Sinds begin 2000 onder begeleiding van Shiv Charan Singh. Naast docent Levensbeschouwing geef ik les aan de Karam Kriya Level 1 lerarenopleiding en de Karam Kriya Consultancy Training en geef ik Karam Kriya Consulten en Sat Nam Rasayan Healings.